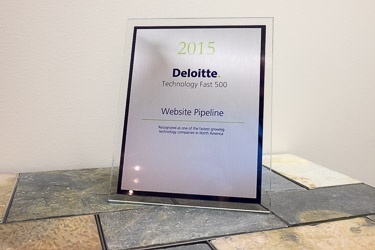 We're On The Deloitte Fast 500! We're certainly proud of all the growth awards we've been honored with recently, but we're extra excited to announce that we've just been named to the Deloitte Fast 500 list of the fastest-growing companies in North America. This list has criteria that is near and dear to our heart, because inclusion on this list requires the majority of company revenue to come from propietary technology developed and owned by the company - that's what we do! We're one of a handful of South Carolina companies to win this award since 1999, and only the second company in the Upstate region. More than 2/3 of the companies on this year's list are backed by venture capital, while our debt-free growth has been bootstrapped. We're thankful for our amazing employees, customers, and partners who all help us continue to grow as a company! Greenville, SC — Website Pipeline today announced it ranked 481 on Deloitte’s Technology Fast 500™, a ranking of the 500 fastest growing technology, media, telecommunications, life sciences and energy tech companies in North America. Website Piepline grew 119 percent during this period. Website Pipeline is a Software-as-a-Service company that offers a cloud-based Front Office eCommerce platform, which includes Customer Self-Service Portals, Public and Private Web Stores, Sales Rep Tools, and API’s. The platform integrates with back office Sage and Microsoft Dynamics ERP systems. Our solutions help small and mid-sized B2B companies get, keep and grow their customer base by enabling them to self-service anywhere, anytime, and from any device. 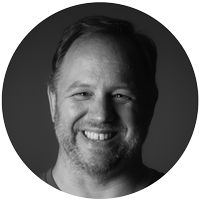 Founded in 1999, Website Pipeline is a boot-strapped, privately help, profitable, debt-free company with 60+ employees. They are based in Greenville, SC, have been named to the Inc. 5000 list for the past five consecutive years, and have been recognized multiple times among the fastest-growing companies in South Carolina.